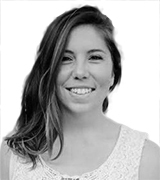 September 24, 2018, 5:00 p.m. If you’re looking for a warm welcome, head to Houston. 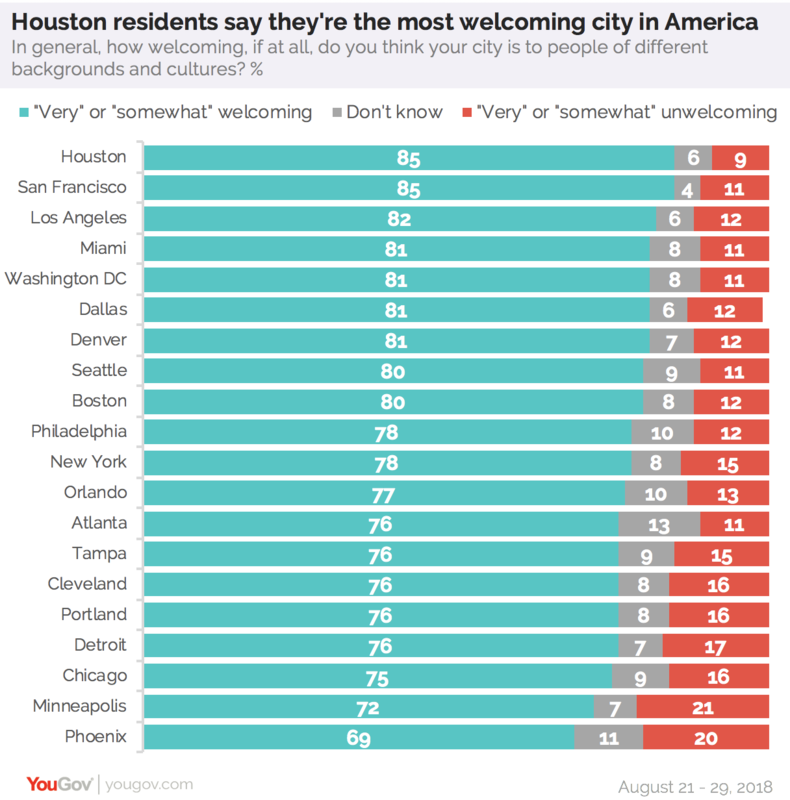 Data from a recent YouGov Citybus poll reveals that the residents of Houston are the most likely of people in the top 20 most populous metropolitan areas to say that their city is welcoming to people of different backgrounds and cultures. A strong majority (85%) of Houston residents say their city is welcoming, compared to only 9% who say it is not. Similarly, 85% of people in San Francisco say their city is welcoming to people of different backgrounds, while 11% disagree. Residents in Los Angeles (82%), Miami (81%), Washington DC (81%), Dallas (81%), and Denver (81%) also tend to say that their cities are welcoming to people of different backgrounds and cultures. Rounding out the top 10 most welcoming cities are Seattle (80%), Boston (80%) and Philadelphia (78%). Majorities in all 20 metropolitan areas tend to say that their cities are more welcoming than unwelcoming. But roughly one in five residents of Minneapolis (21%) and Phoenix (20%) say their city is unwelcoming to people of different cultures.